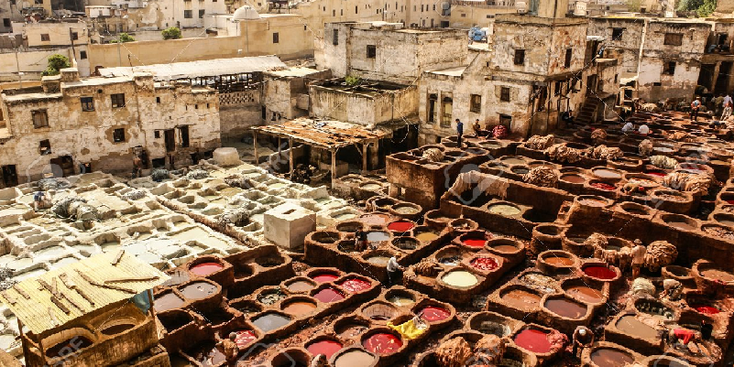 The name Morocco is derived from the name of the former capital. 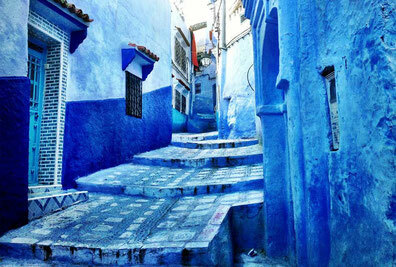 In Arabic, Morocco is called "Maghreb", meaning the West. 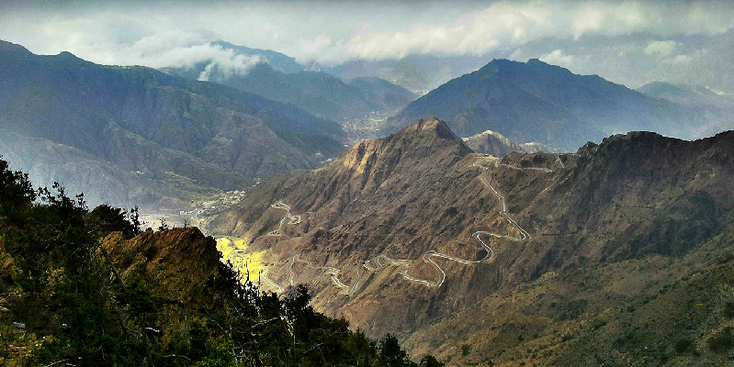 It is so named because Morocco was the westernmost area of the Islamic Empire. From 2010, the Arab world from Syria to Morocco is under pressure - a call for freedom and equality that has already led to the deposition of many dictators; from Saddam Hussein in Iraq and the war in Syria (Assad) to the deposition and death of Libyan leader "Gaddafi" and Egyptian leader Mubarak. In Tunisia too, the Arab spring, as the phenomenon has come to be called, has been kept. Great unrest has led to drastic measures. Also in Morocco. The reforms of King Mohammed VI (which were already used in the last years of the reign of King Hassan II) slowly but surely led to another, much more open climate in Morocco. There is less fear, you can express you’re mind a bit more and there is greater extend of press freedom. With the establishment of a National Reconciliation Commission an important step forward has been made in the area of human rights. The committee discussed the past of Morocco, the 'years of lead' that were characterized by repression of the opposition and gross human rights violations. To a certain extent justice has been done to the victims, by letting them know their story and by assigning damages. In addition, the Committee has formulated a number of recommendations, which also explicitly look at the future. Some of the recommendations would, if implemented, make the position of the monarchy less absolutist (constitutional reforms, strengthening the independence of the judiciary, reinforced regulation of security services). With the introduction of the new Moedawanah (entirely of family law), Morocco has taken a major step in the socio-economic field, which in the long run should lead to an equal relationship between men and women. 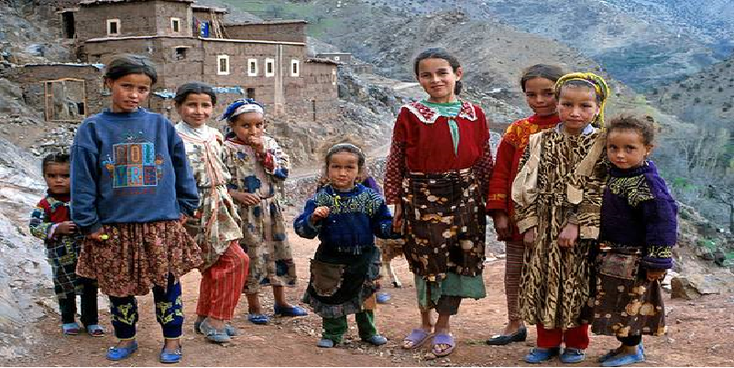 Another important development concerns the increased space and attention for the Berber culture and language. The king also spoke about the need to strengthen social security policy. But not only has this led to domestic changes, Morocco has also changed a lot in terms of foreign policy. Internationally, Morocco maintains a moderate status, with strong ties to the West. It was one of the first Arab and Islamist states to condemn the attacks of 11 September. In June 2004, Morocco received the status of major non-Nato ally from the US as a reward for Morocco's attempts to combat terrorism. At the end of 2008, Morocco was given the "advanced status" by the EU. This means that Morocco is more than an ally, but less than a Member State. Despite all the changes, the king holds the absolute power of attorney and there are clear red lines; the role and position of the monarchy itself remains unchanged and also in the area of religion (Islam) and the (country) Western Sahara. This area is claimed by the Polisario (who has adopted ADRS as name in Algeria and the "free zone", the area controlled by Polisario) and by Morocco. The UN calls the area a "non-self-government territory". De facto the majority is governed by the Moroccan authorities. In this area, according to various human rights organizations, including Amnesty International, there are human rights violations against the indigenous population, the Saharans.